Walker & Dunlop, Inc. announced today that it structured $52,500,000 for the refinance of 153 Remsen, a newly constructed, Class A multifamily property with ground-level retail. Located in Brooklyn Heights, New York, the property caters to one of the country’s most high-demand housing markets and has enjoyed a strong lease-up pace since its delivery in June 2017. Led by Tom Toland, Al Rex, Hal Reinauer, and Marty McGrogan, Walker & Dunlop was engaged by the property’s developers, Quinlan Development Group and Lonicera Partners, to refinance the original construction loan. Leveraging their extensive network of capital providers, the team was able to identify an ideal capital partner for the refinance of 153 Remsen. A life insurance company provided the permanent, 12-year, fixed rate loan, which was structured with interest-only payments for a portion of the term. Built in 2017, 153 Remsen is one of very few new multifamily developments delivered to the landmark neighborhood of Brooklyn Heights. The luxury apartment building includes 60 spacious units that average 1,066 square feet. Designed to accommodate the high-income, family demographic of the local neighborhood, the apartments feature floor-to-ceiling windows, central air conditioning, white oak flooring, gourmet kitchens, four-piece master baths, and in-unit washers and dryers. Building amenities include an attended lobby, fitness center with complimentary trainer program, bicycle room, children’s playroom designed by Carmelo The Science Fellow, storage lockers, and a roof terrace with sweeping views of Brooklyn and Manhattan. Walker & Dunlop’s Capital Markets team has deep relationships with capital providers across the country including banks, life insurance companies, and CMBS conduits. From 2014 to 2017, Walker & Dunlop grew its brokered loan originations at a compound annual rate of 28 percent. In 2017 alone, the Capital Markets team closed a record $7.3 billion in total brokered volume, originating loans for over 235 different capital providers. To learn more about Walker & Dunlop’s diverse financing options visit our website. Quinlan Development Group, LLC is a private family real estate development and investment company based in New York City since 1971. The firm has built, renovated, or invested in over 2.3 million sf across thirty-six properties encompassing a wide variety of asset types, including mixed-use rentals, luxury condominiums, retail, self-storage, and commercial office. Its investment strategy focuses on locations with strong growth potential and value-add opportunities, which are realized through aggressive and experienced management. It has a reputation for high quality development and a history of success during all building cycles. The company’s track record has solidified its reputation as a quality real estate investor, developer and lender. Quinlan Development Group, LLC’s wholly-owned subsidiary, Walker Malloy & Co, Inc., manages and leases retail and residential properties in New York City. Lonicera Partners is a Brooklyn based private real estate investment and development company. Lonicera focuses on investments where it can add value and create long-term appreciative real estate through either ground-up development or from repositioning existing properties. 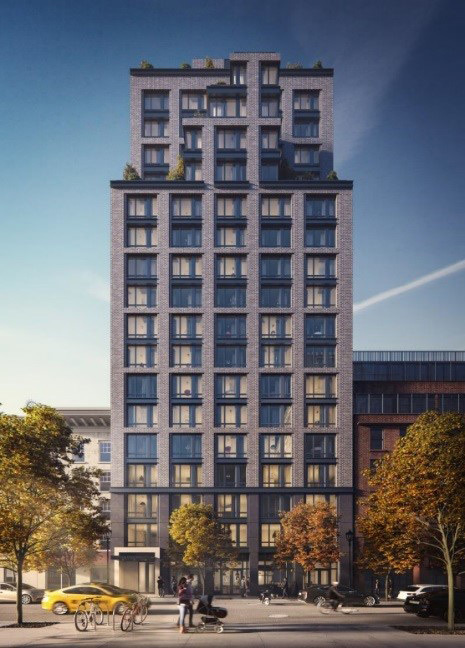 Lonicera is currently developing 500,000 square feet of class-A multi-family and 50,000 square feet of commercial real estate in Downtown Brooklyn and the surrounding neighborhoods, nearing $250 million of total capitalization.